Hooray! You’ve typed “The End” and your manuscript is finished. Now, you may think your book is already a thing of beauty and a work of perfection—after all, it’s your baby! But before you start comparing self-publishing packages, take another critical look at your manuscript with an honest eye. Are the plot legs a little wobbly? Does your story get a bit saggy in the middle? It’s imperative that you get your book manuscript into the best shape possible before you self-publish. Put your manuscript aside for two weeks. If you’ve ever tried to make bread, you know that one of the most important steps is letting the dough rest for a while, undisturbed. Although it may feel like you’re doing nothing, resting and putting your book aside is actually a key step that will lead to a wonderful finished product. Taking a break from your finished book is NOT laziness. In fact, it can take a huge amount of willpower (and a high tolerance for anxiety) to walk away. After two weeks (minimum), return to your book and begin your last phase of revisions. Your manuscript will be better for it. Workshop your book with your writers group. Now that you’ve written the best book you can on your own, consider inviting your peers into the process. A local writing group may be able to offer you important feedback (so long as you’re willing to offer it on members’ projects in return). If you can’t find a local writers association, start your own writing group. Revise. Once you have a sense of how other people see your book, it’s time to consider revisions. You might not take every suggestion, but the decisions you make can be inspired by good feedback. Hire an experienced freelance editor. After you’ve had an “amateur” critique of your book, it’s time to find a professional freelance editor. Learn more about how to find a great freelance editor for your book. Hire a proofreader. Once the content of your book is in its best possible form, it’s time to hire a proofreader. If you’re planning to self-publish, your publishing house may offer proofreading as part of its publishing package options. But you might want to find your own proofreader who is experienced in your particular genre of creative writing. Review changes. Remember, you don’t have to accept all of your proofer’s suggestions! Celebrate! Your book is done! Commemorate this milestone by celebrating in some way. Don’t underestimate the importance of acknowledging your own achievement if you want to have a long career in writing! When you transition from writing your book to publishing and marketing your book, you transition from wearing your writer hat to wearing your CEO hat. 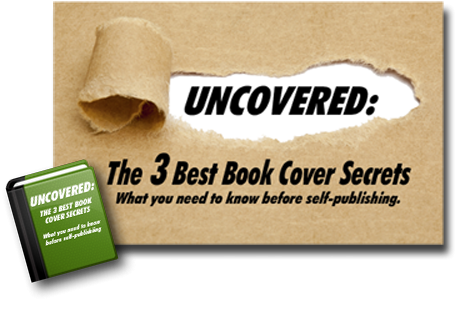 Your choice of self-publishing company can have a huge impact on the future of your book. So read up on your options and ask many questions. And if the process seems overwhelming, Self-Publishing Relief can help you successfully navigate every step of the self-publishing process. Question: Which of these steps is most challenging to you?